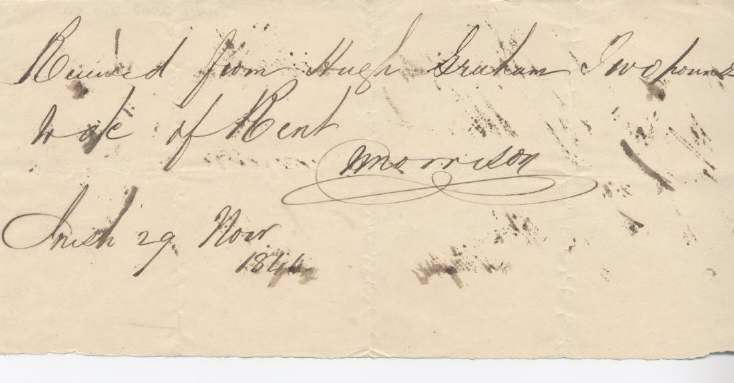 Receipt for rent from Hugh Graham, date Creich(?) 29 Nov 1844. Signed Morrison(? ).